Hey CLIMATEGATE denier Soros Nazis... YOU GOT PUNKED! Police in Copenhagen say they detained 968 people during climate protests in the Danish capital Saturday. The Associated Press reports that the protests -- which attracted 40,000 to 100,000 people, depending on the source -- were "mostly peaceful." Police said they rounded up 968 people in a preventive action against a group of youth activists at the tail end of the demonstration. Officers in riot gear moved in when some of the activists, masking their faces, threw cobblestones through the windows of the former stock exchange and Foreign Ministry buildings. The mostly peaceful demonstrations in Copenhagen on Saturday provided the centerpiece of a day of global climate activism stretching from Europe to Asia. Police assigned extra officers to watch protesters marching toward the suburban conference center to demand that leaders act now to fight climate change. Violence broke out in Copenhagen on Saturday as tens of thousands took to the streets to demand tough measures on climate change, with demonstrators around the world rallying for action instead of words. Hundreds of youths wearing black went on the rampage through the Danish capital, throwing bricks and smashing windows, as around 30,000 protesters marched through the streets to demanding world leaders declare war global warming. Many of the youngsters, whose faces were covered with scarves, were forced to the ground by riot police before being bundled into vans, an AFP reporter said. Police said some 400 people were arrested in the scuffles, although the rest of the march -- the centerpiece of protests in 130 cities across the world -- remained peaceful. The huge march to the heavily-guarded Bella Center venue capped a day of lobbying by green groups around the world, staging peaceful, colorful protests from Australia to the Arctic Circle. "We can't change the science, we have to change the politics -- and if we can't change the politics, we have to change the politicians," Kumi Naidoo, head of Greenpeace International, told the main rally. If all goes well, the 194-nation conference under the UN's Framework Convention on Climate Change (UNFCCC) will wrap up on Friday with a historic deal sealed by more than 110 heads of state and government. It would commit major economies to actions that would curb emissions of heat-trapping fossil-fuel gases and generate hundreds of billions in dollars for poor countries badly exposed to climate change. Prime Minister Lars Loekke Rasmussen of host country Denmark was upbeat. "In less than a week, I believe we will achieve global agreement... an agreement that will set the course for an ambitious approach to our joint efforts in combating climate change," he told a forum on clean energy. But many delegates complained that progress had been negligible and the mood soured by finger-pointing. A draft blueprint, presented on Friday, ran into problems almost immediately among developing countries, emerging giant economies, the United States and the European Union (EU). Poorer countries lashed it for failing to spell out commitments on finance while the United States complained it failed to bind China and other high-population, fast-growing economies to tough pledges on emissions. The EU said the draft did not go nearly far enough to limit warming to two degrees Celsius (3.6 degrees Fahrenheit), a goal endorsed by many countries. "We are in a situation where we can see that so far we haven't achieved enough," Andreas Carlgren, environment minister of Sweden, which currently chairs the EU, said on Saturday. The EU has unilaterally decided to cut its greenhouse-gas emissions by 20 percent over 1990 levels, and has offered to deepen this to 30 percent if it finds other major players willing to make a comparable effort. But Carlgren ruled this out, blaming foot-dragging by the world's top two carbon emitters. "So far we haven't sufficient bids on the table," he told a press conference. Conference chair Connie Hedegaard scheduled an informal meeting with environment ministers on Saturday, followed by a further session on Sunday. Those meetings mark the start of a gruelling game of climate poker before the arrival of heads of state and government on Wednesday and Thursday, many of whom will speak in the conference's plenary session. Those slated to attend include US President Barack Obama, Russian President Dmitry Medvedev, Premier Wen Jiabao of China, Indian Prime Minister Manmohan Singh, Brazil's President Luiz Inacio Lula da Silva, Prime Minister Yukio Hatoyama of Japan and the heads of the European Union (EU). Failure on December 18 would deal a heavy blow to the nation-state system, the head of the Nobel-winning UN panel of climate scientists warned on Saturday. 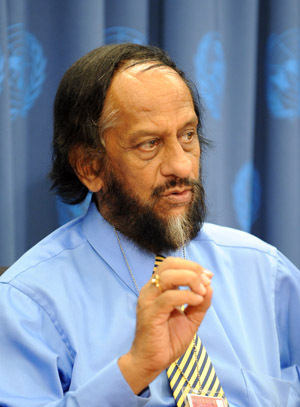 "I think if we are able to get a good agreement, this would clearly create an enormous amount of confidence in the ability of human society to be able to act on a multilateral basis," said Rajendra Pachauri, chairman of the Intergovernmental Panel on Climate Change (IPCC). "If we fail, I don't think everything is lost, but certainly it will be a major setback." This video was published to YouTube by the Associated Press on Saturday, Dec. 12, 2009. Re: Hey CLIMATEGATE denier Soros Nazis... YOU GOT PUNKED! 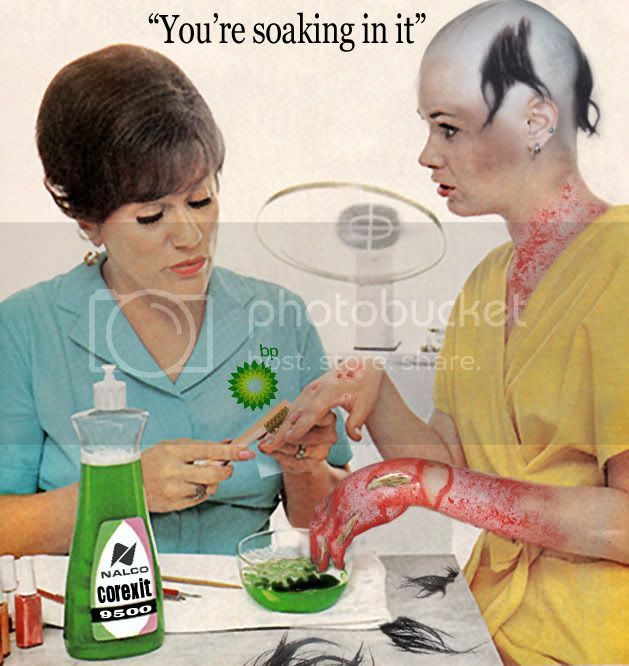 "Look what they make you give."